Even though there is a strong and ever-growing push towards new technology and cleaner sources of energy, oil is still ranked high on the list of how we power things. Because of the nature of where oil is located, a combination of manpower, technology, equipment and expertise is needed to extract it safely and efficiently. There are a number of different approaches to drilling for oil. There are also a number of secondary tools that provide supplementary functions. One of these is coil tubing. Let’s take a look at how it’s used and some of its benefit. There are a number of reasons that a company would want to utilize coil tubing services at their drilling site. One of the major reasons it the ability to utilize coil tubing to perform maintenance of production pipes. Common fill elements such as sand, debris and scale can build up and restrict the flow of oil or gas. Coil tubing with a jet nozzle attached at the end is used to clean out and remove fill material as it is lowered and travels the length of the pipe. Coil tubing has a place in actual drilling as well. It can be utilized in both directional and nondirectional drilling. Directional coil tube drilling does require a steering assembly. When compared to traditional drilling, coil tube drilling is performed with bits that weigh less and spin faster than their traditional counterparts. This makes coil tube drilling much more flexible in its ability to accommodate various applications. There are a number of advantages that using coil tubing provides. 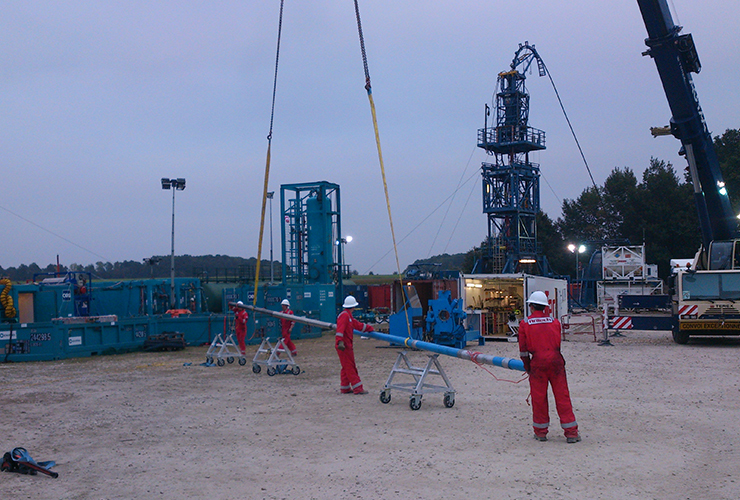 Coiled tubing can be mobilized and rigged-up very quickly when compared to other options. It also requires less personnel to effectively run operations. It is also advantageous because it requires a smaller environmental footprint. An example and benefit of this small footprint is the ability of coil tubing to reduce the time that it takes to move pipe in and out of a hole. The excess pipes and equipment associated with other options simply aren’t needed. Utilizing coil tubing on oil rigs makes sense when you take into account the number of things that it can be used for. Maintenance, repair, and drilling are just a few of the ways in which it can benefit operations. Companies, such as PRT Offshore, stand at the ready to supply and facilitate the use of coil tubing. Whether on land or offshore, it should be considered for any drilling operation.